Successful Real Estate Marketing Talk begins with having effective resources to generate leads, listings and sales. Top Marketers (Buyers, Sellers, Agents and Investors) are utilizing not one, but an array of tools to establish and sustain their businesses. Below are some most popular ones. 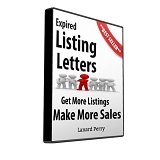 Arguably, the best marketing strategies are multi-faceted and include Farming Expired Listings; Real Estate Letter Writing Campaigns; Flyer and Email Marketing, etc. Farming FSBO’s can also be a lucrative strategy with the right approach. What do I mean? Don't just “cold call” home owners, use our FSBO Letter System. Although you won’t get a 100% response, this preferred method will have sellers calling you rather than you calling them, and when they do they’ll be expecting to list their properties with you. But lets not get hung up on a few strategies when there's so much more; brochures, websites, drip mail marketing, postcards, auto responders, marketing reports and other lead generation ideas and strategies for getting and staying a step ahead of your competitors. So, bookmark our site and be sure to come back to explore all that it has to offer. Thanks for reading! Take Advantage of These Freebies To Increase Your Internet Presence & Generate Some FREE Leads! 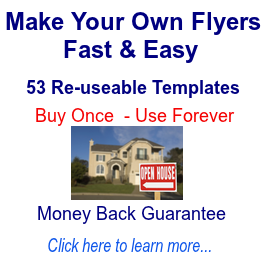 Advertise Real Estate (Listings, FSBOs, etc) for FREE! 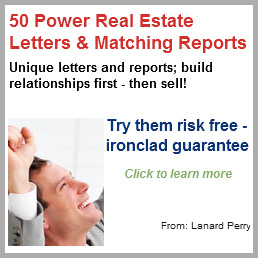 Real Estate Agent Directory - Add Your Name Today!